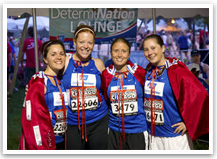 When you join the American Cancer Society DetermiNation Mini Series program, you join our nationwide community of athletes and get the best fundraising tools to help you achieve your personal victory. 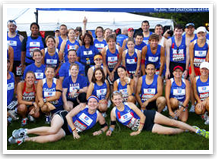 You can run any race (5k, ultra, triathlon, etc.) and raise critical funds for the American Cancer Society. 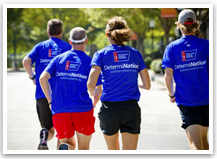 Every mile of training will be more meaningful, and on event day, you'll have the extra motivation you need knowing you're helping save lives from all types of cancer. Ask a Coach - get training tips from Coach Adam. We applaud and appreciate the efforts of our DetermiNation program Alumni.